Being a healthy eater is something we all aspire to, but #realtalk, it's hard to know what that even means. So we asked three nutritionists to define it in their own words. According to registered dietitian Lauren O'Connor, healthy eaters "enjoy a well-balanced diet, thrive on whole-food nutrition, limit highly processed foods, and have a healthy relationship with food." Similarly, registered dietitian Jenny Champion says that healthy eaters "choose real food over anything processed, value the quality of food they eat, and have a healthy relationship with food without obsessing over it." Pithily, certified nutrition coach Candice Seti defines healthy eating as "more than a number on a scale." So now we know what it means to be a healthy eater in the eyes of nutritionists. And we're on board. But how do we get there? Read on to learn eight ways to become a healthier eater, both mentally and physically, according to nutrition experts. The healthiest eaters don't think of vegetables as a side—they're the star of the show. "Vegetables are a nutritional powerhouse that can do it all," says Seti. "Not only are they packed with key antioxidants, they also provide fiber and are low in calories, which means you can eat virtually as much as you want!" Not to mention veggies are loaded with water, which keeps you both full and hydrated. "For all of these reasons, healthy eaters make sure that vegetables make up the bulk of each meal," says Seti. Learn how to use vegetables in new and tasty ways by checking out our five favorite (filling) salad recipes. The people who manage to eat healthy even at the office are the people who thought ahead. "You don't have to go through a lengthy process of detailing a meal plan, but you've gotta make healthy eating accessible," says O'Connor. Tips? Stock your fridge and pantry each week to guarantee you have healthy staples at all times. (I always make sure I have frozen broccoli, chickpeas, and brown rice ready to go in a pinch.) O'Connor recommends keeping cut-up fruits and veggies, hummus, and Greek yogurt around "for easy snack-dipping options." "Healthy eaters know that the brain can’t always tell the difference between hunger and thirst, and for that reason, they make sure a water bottle is never far away," says Seti. 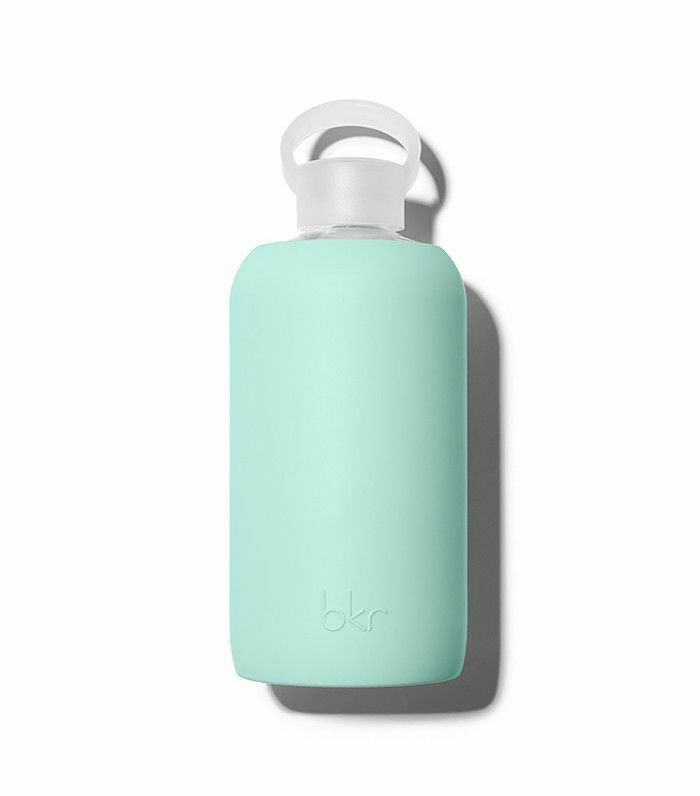 Sipping water consistently throughout the day keeps you from snacking excessively. Plus, it helps you stay regular. Healthy eaters know that starting off your day with a protein-rich breakfast (instead of carb-heavy cereal or granola bars) is a surefire way to prevent hanger later on. "Try adding a solid source of protein to breakfast every day, like plain Greek yogurt, egg whites, boiled eggs, or a protein shake," Champion suggests. 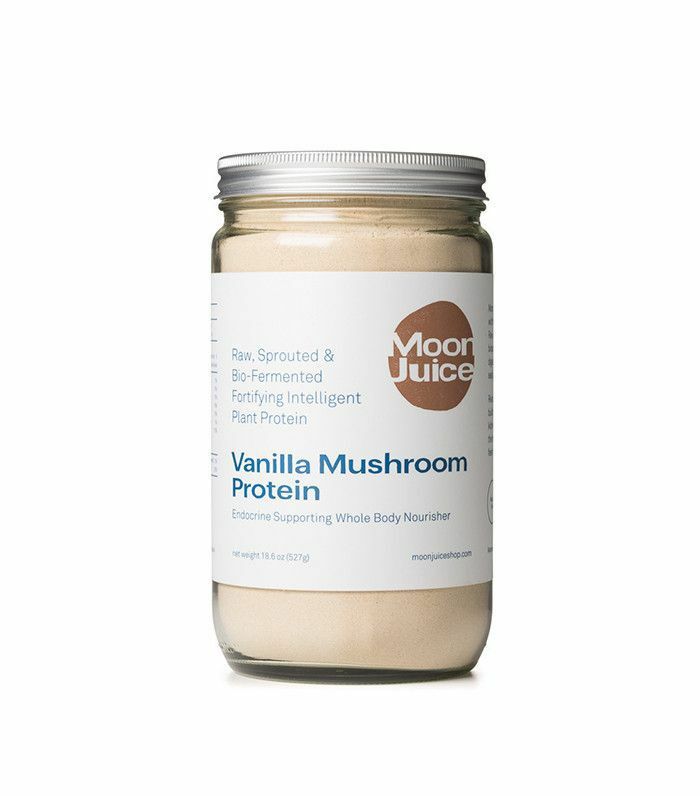 We recommend adding Moon Juice's plant-based mushroom protein ($35) to a smoothie. Even when they're busy and don't have time to make proper meals, the world's healthiest eaters always manage to squeeze in breakfast and lunch. "Skipping breakfast, eating a few bites of lettuce at lunch, and then gorging yourself at dinner (and beyond) creates an unhealthy cycle of eating just before bed and never allowing your body time to 'rest' from digesting," says Champion. This doesn't mean you have to eat six smalls meals throughout the day—three balanced ones will do, as long as they keep you "properly energized and not ravenous at any point in the day." If you find yourself skipping breakfast due to time constraints, O'Connor recommends making this overnight oats recipe the evening before: "Fill up a mason jar with 1/2 cup oats, 1/2 cup your choice of milk, cinnamon, and 1/4 cup frozen berries for a grab-and-go, fiber-filled, nutrient-dense morning eat." Nutritionists and health nuts all agree: Packaged food simply isn't good for you, even if it says "fat-free," "gluten-free," or "sugar-free" on the label. "While advertisers try to convince consumers that the absence of an ingredient always means a food is healthy, healthy eaters are never fooled by this advertising gimmick," says Seti. In other words, if a processed food is free of one bad ingredient, it will invariably be loaded up with another. For example, "Fat-free choices are often filled with sodium, sugar, and preservatives to make up for the lack of fat," Seti says. All in all, if an ingredient list is long and unpronounceable, odds are a healthy eater wouldn't touch it. Healthy eating doesn't have to be torturous. In fact, the healthiest eaters are often the people who love their food the most. "If you take your time to enjoy your food and pay attention to your hunger and satiety cues, you will be less likely to overeat and feel better overall," says Champion. "Remember restriction and deprivation can lead to stress and potential bingeing later on." To learn how eating slowly can be a form of meditation, read one editor's experience with "mindful eating." Speaking of restriction, healthy eaters know that "dietary deprivation is not a sustainable way to eat," says Seti. French fries, pizza, and dessert are all "a wonderful part of life that healthy eaters have learned to successfully enjoy without kicking off a full-blown cookie bender," adds Champion. "Allowing yourself indulgences is important for mental health." Of course, not going overboard is important. "The trick lies in keeping the serving size small and choosing something with some nutritional benefits," Seti offers. "The antioxidants in a square of dark chocolate (with at least 75% cacao content) or a glass of red wine can make good choices." Can't argue with that. Next up, see what happened when we tried five ridiculous-sounding weight-loss tips (with equally ridiculous results).